At Dollard Packaging, we produce a very wide range of printed packaging types – below we have listed and show some of the most commonly used types. We have vast experience in producing packaging for the food industry. Our sales representatives can help you find the carton or sleeve style to meet your product needs. If you require help with the design of your packaging, we work closely with designers who specialise in design for packaging with whom we can put you in touch. Sleeves are made to measure, to fit food trays, tubs and Clamshells. 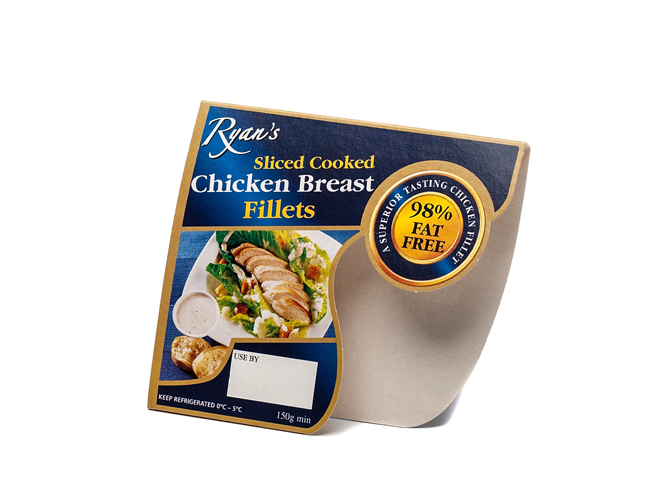 Typically used for packing and promoting ready-made meals and meat portions. All cartons are made to measure, designed to hold many different products such as food, bakery, pharmaceutical, cosmetic and game products. All trays made to measure, used to pack Fresh Produce, Cosmetics, and Cakes etc. Can be either pre-erected or ready nested or supplied flat, for pop up assembly. 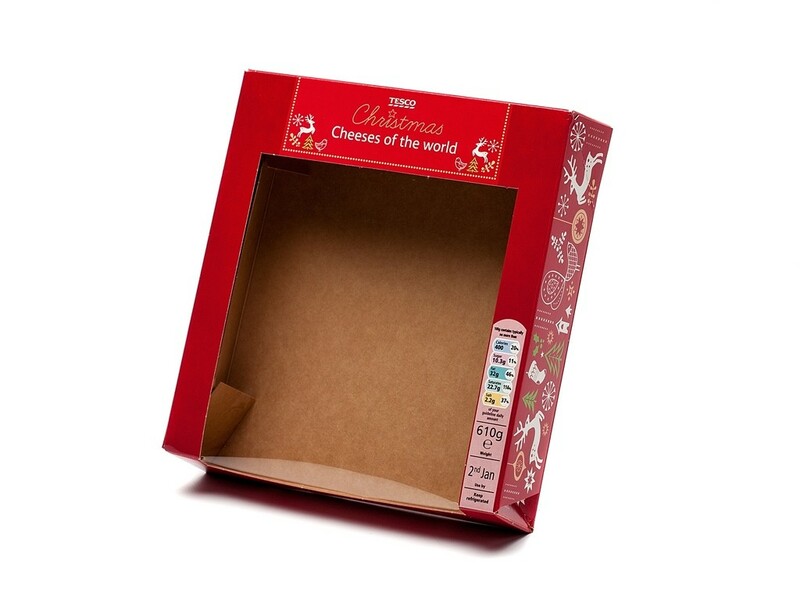 These cartons offer extra strength with a High Quality Print Finish, suitable for packaging Food, Games, Gifts, Drink and Consumer Electronics. High Quality Printed Cartons with handles, windows, and insert features to promote Food and Cosmetic products. The addition of a window can greatly increase the appeal of a product. We can window patch most carton designs and formats. Suitable for Food, Cosmetics and Consumer Electronics. We can use a fully plant-based film for your window patch cartons meaning that your cartons are fully sustainable and environmentally-friendly. You can read more about this film here. These made to order transit and display cartons are ideal for shipping product and can be put directly to the shelf, ready for sale. Manufactured from Solid Board, E Flute and B Flute material and Printed to your design requirements. Used for displaying product on the shop counter. These boxes act as the transit, display and sales promotion pack for your goods. Typical designs would include a display board for product promotion. Ideal for Confectionery and Cosmetics products. 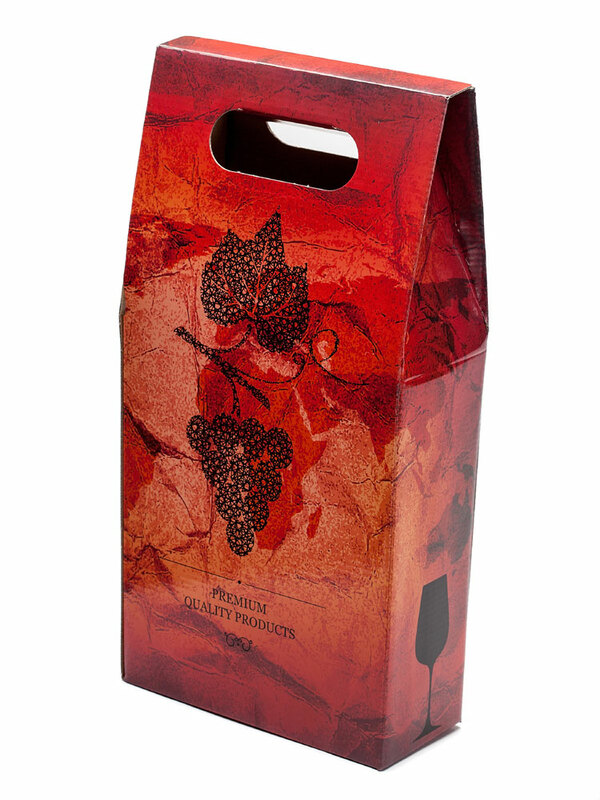 We manufacture a full range of drinks packaging, Window Fronted Cartons, 4 and 6 Bottle Beer Carriers, Wine Boxes, Presentation Gift Packs, 6 Bottle wine Carriers etc. A dedicated waxing machine applies a wax coating to the inside of cartons that come into direct contact with food. This applies mainly to Ice Cream cartons but can be used for other applications if deemed necessary, for example: Cake boards and Pizza Base protectors. Pre-erected containers and trays are produced on a clamshell tray erector and supplied to the customer nested and ready for filling at the outlet, e.g. 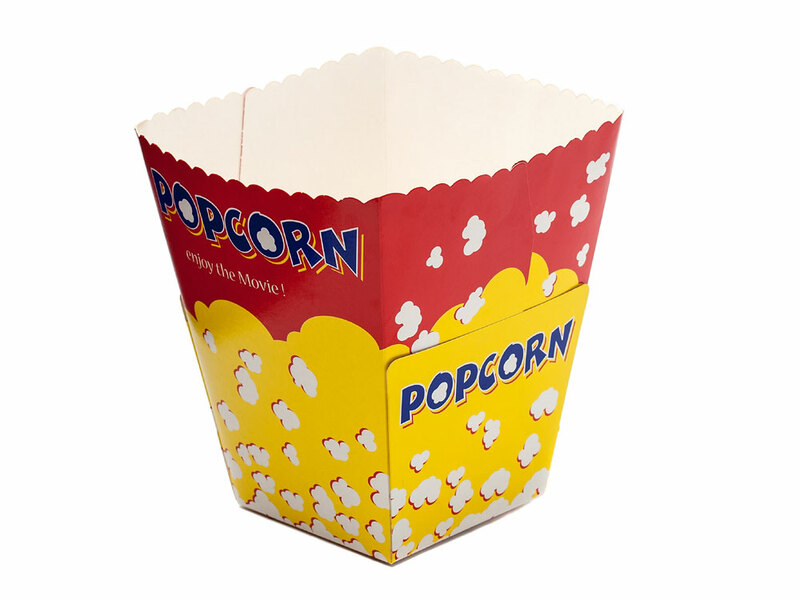 Popcorn containers for the Movies and Chicken Nuggets/Burger/Chip Trays for the Fast Food Sector and Fresh Produce. Dollard Packaging offers Hot Melt Gluing for Solid Board and Litho laminated Cartons and Trays, ensuring a permanent and strong bond, ideal for cartons under stressful transit or cold storage conditions – such as Liquid Proof Meat and Seafood Boxes and Trays. We can supply materials to your specification, including sourcing recycled or eco-friendly boards. Talk to our sales representatives about your requirements. See our Services section for more information the range of styles and finishes available to enhance your packaging. See more images in our gallery.